We are a team of Professional Lice Removal Specialists headed by a School Nurse. We do free school wide educational presentations for students, parents and teachers. 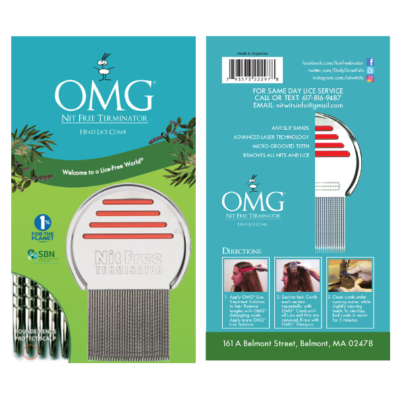 Our trademarked OMG Lice Comb is the best lice comb available. The OMG Lice Comb strips nits and lice out of the hair, killing them. Based on our years of hands-on experience we have developed our own all organic, pesticide-free, lice treatment products, OMG Head Lice Treatment Solution and OMG Head Lice Shampoo. We provide the Best Peace of Mind! Lice School Vacation Week. Get your NitWits Peace of Mind today!